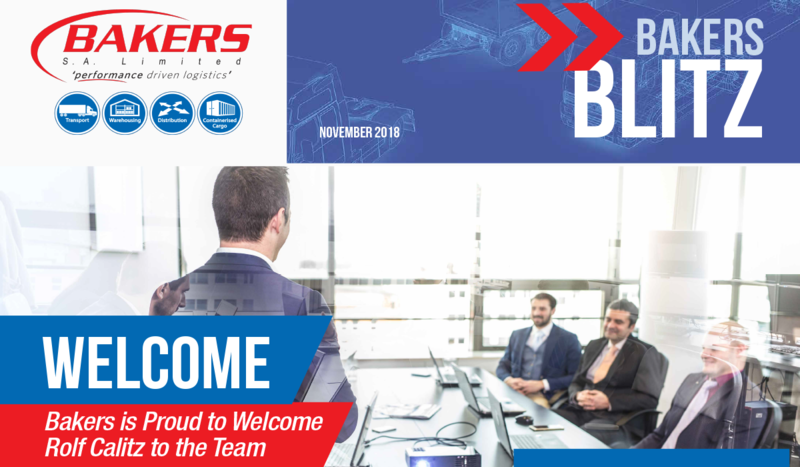 It is with great pleasure that Bakers S.A. Limited welcomes Rolf Calitz to our executive team in the role of Executive: Operations WBG (White and Brown Goods). Mr. Calitz will assume the role on 1 December 2018, and brings to the position more than a decade of experience in managing complex logistics networks within the WBG sectors. His skills lie in his ability to maintain and sustain operational excellence through effective problem solving. Bakers believes that his prodigious understanding of data analytics will ensure a continuous improvement in key performance indicators and efficiencies. The appointment fits in with Bakers’ strategies for growth and transformation, which he will undoubtedly drive. Through the collaboration and commitment of all stakeholders, the Bakers’ team and Mr Calitz, we aim to build a strong foundation to a beneficial relationship for all moving forward. We would like to warmly welcome Rolf Calitz to the Bakers family and look forward to the flare and positive influence we know he will bring to the Executive team.